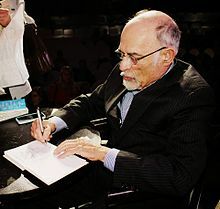 Irvin D. Yalom (born 13 June 1931) M.D. is an author of fiction and nonfiction, Emeritus Professor of Psychiatry at Stanford University, existentialist and psychotherapist. If we live a life full of regret, full of things we haven't done, if we've lived an unfulfilled life, when death comes along, it's a lot worse. I think it's true for all of us. One of the most important things was from a patient who said to me what a pity it was that he had to wait until now, when he was riddled with death, to learn how to live. And I have used that phrase many times: hoping that if you introduce people, in an appropriate way, to their mortality that might change the way they live and allow them to trivialise the trivia in their life. I think living well is the key: trying not to build up regrets for the things we didn't do in our lives; to try to live a regret-free life in which we feel satisfied in what we're doing; and to try to be kind to ourselves and not disappointed in ourselves. This page was last edited on 26 October 2018, at 16:55.